A: Abraham is considered the Father of the Jewish nation. In Genesis, he was called from his birthplace to follow God. His descendants were originally called Hebrews from the Hebrew word “avar” or “pass over,” because the children of Israel passed over the Jordan into the Promised Land. Religious Jews today consider a person Jewish if they have Jewish mother or formal process of conversion conditioned on rabbinical laws. According to Jewish thought, being Jewish has nothing to do with what you believe or what you do. A Jew can be an atheist or a Buddhist and still be Jewish. That is why the MJBI believes that Jewish person does not need to become a “Christian” to become a follower of Jesus. “As many as received Him, to them He gave the right to become children of God, even to those who believe in His name” [John 1:12]. Q: Who are Messianic Jews? A: Messianic Jews are Jews who have come to faith in Jesus as their Messiah. They call him Yeshua, meaning salvation in Hebrew. They retain their Jewish identity, lifestyle and practice but fully embrace the virgin-birth of Yeshua, his death, resurrection, and ascension. They accept him as the Jewish people’s long awaited Messiah and Redeemer of Israel and all nations. 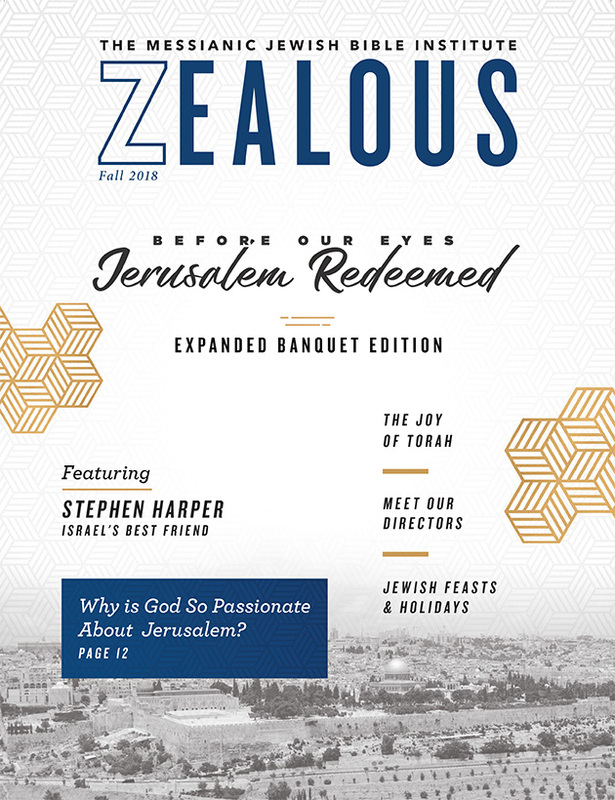 Messianic Jews challenge the idea that when Jews come to faith in Yeshua that they should become Christians. A: Names are important. Everyone loves to be called by his/her given name or nickname. Using a person’s correct name is a sign of relationship. Yeshua is the name that Jesus used when he lived here on earth, and Scripture tells us that it is much more than that—there is power in his name when two or three agree and pray in his name. The Hebrew language is very important the Jewish people; it is very difficult to separate their language, culture, and traditions. Although Hebrew is spoken in Israel today as a modern language, it is still and a tongue with ancient roots and a strong liturgical history. When a Jewish person comes to embrace the revelation of Yeshua, his name in Hebrew becomes sweeter, more intimate. Yeshua comes from the root word in Hebrew that means salvation. Another name from the same root is Joshua. Q: Why should Christians be concerned about the Jewish roots of our faith? A: Some Jews and Christians are stunned to discover that Jesus, the disciples of Jesus, and the apostles were Jewish. In fact, the first followers of Christianity were Jewish—although it wasn’t called “Christianity” then! After the resurrection and ascension of Jesus, Greeks and Gentiles were added to the body of believers who embraced Jesus, but the first followers were Jews in every respect. Christianity and Judaism seem to be polar opposites, but Christian belief and lifestyle and practice is rooted in Judaism. Christians owe a debt of gratitude to the Jewish people. They gave us our Savior, the Bible, the patriarchs, the Ten Commandments, and the inspirational example of Jewish family tradition and blessings through the ages. Q: What is Christian anti-Semitism? A: In the early years after the ascension of Jesus and as Messianic Judaism began to grow, Gentile believers rejected Jewish believers. Sometimes they called them heretics because they continued to live as Jews, with Jewish traditions and practice. Things are biblical and generally not contrary to Scripture. e. g. the observance of Shabbat, and the keeping of the Jewish holidays, etc. This misunderstanding caused a huge barrier to grow between the Gentile Christians and Jews for centuries, causing thousands of Jews to be persecuted and killed at the hands of Christians. It culminated in the Holocaust in Europe in the 1940s. Although the world grew aware and sometimes ashamed, and especially Germany, for the deeds of the Holocaust; it certainly has not stopped anti-Semitism. It is on the rise in almost every country around the globe. It has a new name, “Anti-Zionism” and is perpetrated by new ethnic groups that claim to that Israel does not have the right to exist. But it is still against the Jewish people, and it is the same old battle. Believers in Jesus are admonished to bless the Jewish people. There is a blessing that comes with promise and a curse that comes with its disregard. Genesis 12: 1-3 tells us that God will bless those that bless Israel and curse those who do not. Q: How can I bless the Jewish people? Pray for Jewish believers living in Israel and around the world. Pray for God to bring Jewish people into your pathway. Tell your family and friends why they should stand with Israel. Stand against all forms of anti-Semitism in the church and outside. Give to Jewish poor and support Jewish ministries who believe that Jesus is the Messiah around the world. Q: Is Jesus the Jewish Messiah? A: Jews and Gentiles, even Muslims, say that Jesus was a good rabbi, a good teacher, a great prophet or an inspirational, historical figure. After the passing of more than 2,000 years, Jesus remains as controversial as he did in the first century. We at the MJBI believe that Jesus is exactly who he said he was. He is the way the truth and the life, as documented in Scripture and confirmed by the experiences of both thousands of Jewish and Gentile believers through the centuries. Jesus was born of a virgin. Matthew 1:22-23 fulfills Isaiah 7:14. Jesus was born in Bethlehem. Matthew 2:4-6 fulfills Micah 5:2. Jesus was from the line of David. Luke 3 fulfills Jeremiah 23:5, 33:17; Ezekiel 34:23-24; II Sam. 7:14; I Chr. 17:11-14, 22:9-10, 28:4-6. Jesus’ side was pierced on the cross. John 19:33-37 fulfills Zechariah 12:10. Jesus was the Suffering Servant. John 12:37-38; Acts 8:30-35; 1 Peter 2:21-25 fulfill Isaiah 52-53. Jesus was God. John 8:58 fulfills Isaiah 9:6. What Proof Do You Have the Jesus was the Messiah? How Can Jesus be the Messiah if He Didn’t Bring Peace? Q: If Jesus is the Jewish Messiah, why don’t more Jews believe in him? A: Through the centuries ten of thousands of Jews have come to believe in Jesus as their Messiah. In fact, a conservative guess of Israel alone is that there are over 15,000 Messianic Jewish believers. If Jews do not accept Jesus, they have not taken time to study for themselves the facts on his life, history, and legacy. Q: Why are Jewish people so successful? A: The Lord had said to Abram, “Leave your native country, your relatives, and your father’s family, and go to the land that I will show you. I will make you into a great nation. I will bless you and make you famous, and you will be a blessing to others. I will bless those who bless you and curse those who treat you with contempt. All the families on earth will be blessed through you Genesis 12:1-3. Q: What did Albert Einstein think about Jesus? In a letter to the Episcopal Bishop Edward R. Wells in 1945, Einstein wrote concerning the behavior of the Christian Church during the Holocaust. “Being a lover of freedom… I looked to the universities to defend it, knowing that they had always boasted of their devotion to the cause of truth; but, no, the universities immediately were silenced. Then I looked to the great editors of the newspapers whose flaming editorials in days gone by had proclaimed their love of freedom; but they, like the universities, were silenced in a few short weeks. Only the church stood squarely across the path of Hitler’s campaign for suppressing the truth. I never had any special interest in the church before, but now I feel a great affection and admiration because the church alone has had the courage and persistence to stand for intellectual truth and moral freedom. I am forced to confess that what I once despised I now praise unreservedly” ~Baltimore Evening Sun, April 13, 1979. This is one Jew’s view of Jesus. I am aware there are many views of Jesus in the Jewish world. Some despise Him, some admire Him from a far, some secretly believe, and some radically follow Him. The prophet Zechariah said of his own people that someday ”They will mourn Him whom they pierced…” Jew or gentile, all our sins have pierced Him. It seems that Einstein was “almost persuaded” to believe in Jesus as King Agrippa in the book of Acts.